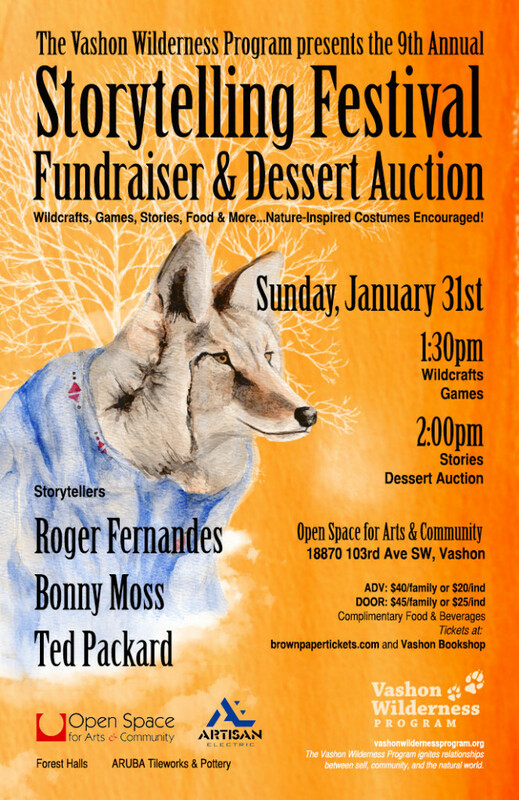 It’s that time of year again when the Vashon Wilderness Program holds its annual Storytelling Festival. Forest Halls, with its mission to keep magic alive in our world, is proud to help sponsor this fun-filled, family-friendly event. Roger Fernandes, a Coast Salish storyteller who entranced Vashon islanders a year or so ago with his rich, resonant, heartful and generous tales. I am eager to experience him! Bonny Moss, a VWP parent and teller. The first story I ever heard from her — a rollicking Coyote tale — remains woven into my storymind. The wild and wondrous is her playground! Ted Packard, a VWP instructor skilled in bringing young and old along a trail of mischief, deep-rooted wise ways, and the truly unexpected.wonders of our world. 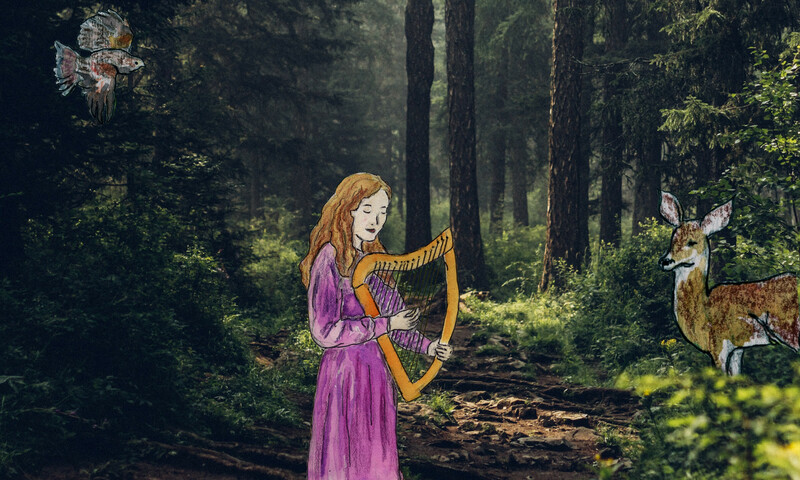 The Vashon Wilderness Program has given out over $100,000 in scholarships to help children connect to nature, and the Storytelling Festival has been essential in helping support VWP’s commitment to never turn a child away due to lack of funds. In addition to the storytelling, this year’s event will feature a Dessert Auction, a Sensory Forest with nature crafts and games, complimentary food and drink, and — as always — an opportunity to connect with family, friends, and nature-rooted community. Please read more about the event here. You can expect some serious fun and magic at this year’s Storytelling Festival! I will be giving away $120 worth of tickets in a drawing on my blog. That $120 translates to either 3 family tickets, 6 individual tickets, or a combination each! 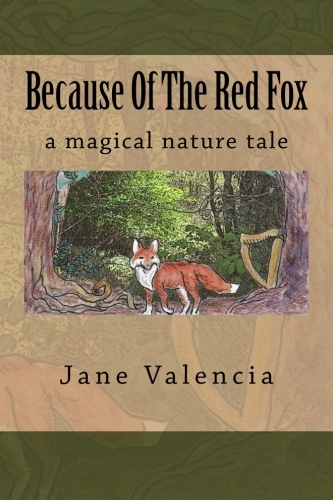 I’m also giving away a copy of my book, Because of the Red Fox, to one of you who can’t come to the Storytelling Festival. Drawing closes at 11:59pm on Thursday, January 28, with the winners being chosen and notified on Friday, January 29. Only one prize per family. Winners’ names will be added to the event’s Will Call list. To enter the Giveaway please read my post Discover the Earth of Your Story, consider how you’ve told stories today, and how, today, the world has lived a story into you, and leave a comment there or here (I’ll be checking both places). Please specify if you’d like to win a Family ticket, an Individual ticket, or a book. Check out the description of Coyote Mentoring on the Vashon Wilderness Program web site and tell me what you think is most compelling to you about Coyote Mentoring. Sign up for the Vashon Wilderness Program’s newsletter and receive their free booklet “10 Awesome Practices to Make Nature a Natural Part of Your Family Life.” Tell me which of the 10 Practices you’re excited to introduce to your family or into your own life. 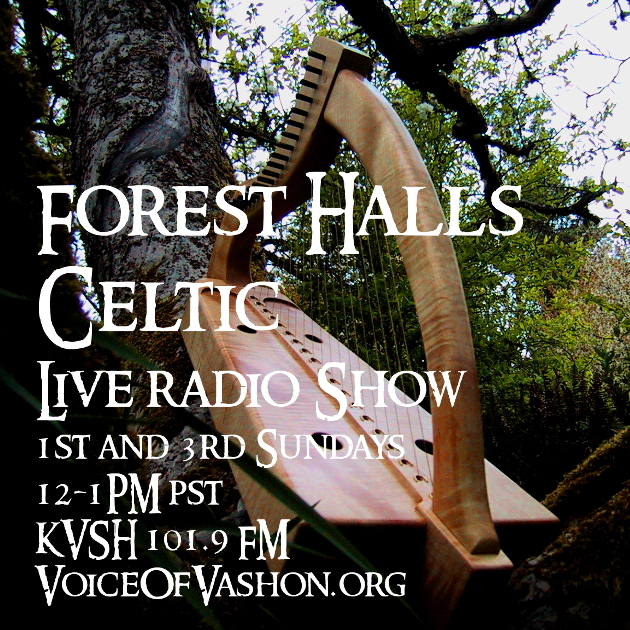 On Wed. Jan. 27, at 10am PST, Voice Of Vashon/KVSH 101.9 FM will interview VWP’s Executive Director, Stacey Hinden and with Storytelling Festival teller, Ted Packard. Listen to this live streaming interview with Stacey and Ted about story, nature connection and children, and hear Ted tell a story. Share something in your comment that you learned, or found exciting or fun from the interview. And here are even more chances to win! Sign up for Forest Hall’s ezine. Are you already on my mailing list? Then please share something you enjoy about my ezine or blog. Again, sign ups for the Giveaway end at 11:59PM PST on Thursday, January 28, 2016. I’ll draw the winners on Friday, January 29. There will be only one prize per family. Good luck, everyone, and thanks for entering! Final note: Even if you don’t win, come to the event anyway. I guarantee you a fun and nourishing time! Hi Jude. Would you be willing to share how storytelling showed up in your day, or some other aspect of how story is meaningful to you? Thanks! Next PostNext Spring Music: How are you Poised and Listening?